Chandra joined our firm in 1992. Since then she has handled civil cases, to include medical malpractice, auto accidents, premises liability, wrongful termination, fraud and discrimination cases. She has also handled criminal cases (to include murder cases involving alleged "shaken baby syndrome"). She also handles all appellate and major motion practice matters for the firm. Chandra has been involved in high profile litigation in multiple States. She also heads up the Class Action Litigation section of our firm. Publication: While attending Tulsa Law School, she served on the Tulsa Law Review and one of the articles she authored was selected for publication - Child Sexual Abuse Accommodation Syndrome: Curing the Effects of a Misdiagnosis in the Law of Evidence, was published in Vol. 25 Issue 1 Tulsa Law Journal, 1989. 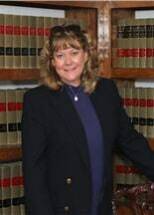 Bar Affiliations: Ms. Holmes Ray received her Juris Doctorate from the University of Tulsa in 1990. She is admitted to practice before the United States Supreme Court, the Court of Federal Claims, the 5th and 10th Circuit Court of Appeals, the Federal District Courts for the Western and Northern Districts of Oklahoma, and the Eastern District of Texas. She has handled cases before almost every court she is admitted to practice before. She is a member of the Bar Register of Preeminent Lawyers, Martindale Hubbell and is also Peer Review Rated by Martindale-Hubbell. Member: Comanche County Bar Association, Vice-President, 2006 and President 2007. Faculty member of the prestigious Gerry Spence Trial Lawyers College from which she graduated in 2005.